From Slavery to Independence What can the history of South Sudan tell us about its future? 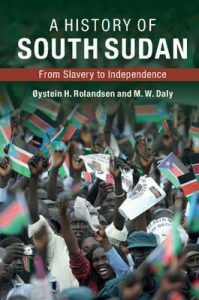 This lunch seminar on South Sudan’s political history takes as its point of departure the recent book A History of South Sudan: From Slavery to Independence. Here Øystein H. Rolandsen and Martin W. Daly provide a general history of the new country, from the arrival of Turco-Egyptian explorers in Upper Nile in the early 19th century to secession in 2011. How did South Sudan become a country? Is there a South Sudanese nation? What has been the impact of two civil wars? How have external actors shaped the development of South Sudan as a polity? Hilde Frafjord Johnson, Secretary General of the Norwegian Christian Democratic Party (KrF) and former UN SRSG South Sudan and Minister of International Development. Tomm Kristiansen, NRK journalist, Africa Correspondent and previous press advisor to President Salva Kiir. Endre Stiansen, UNDP Oslo Governance centre and former Norwegian Special Envoy to Sudan and South Sudan.